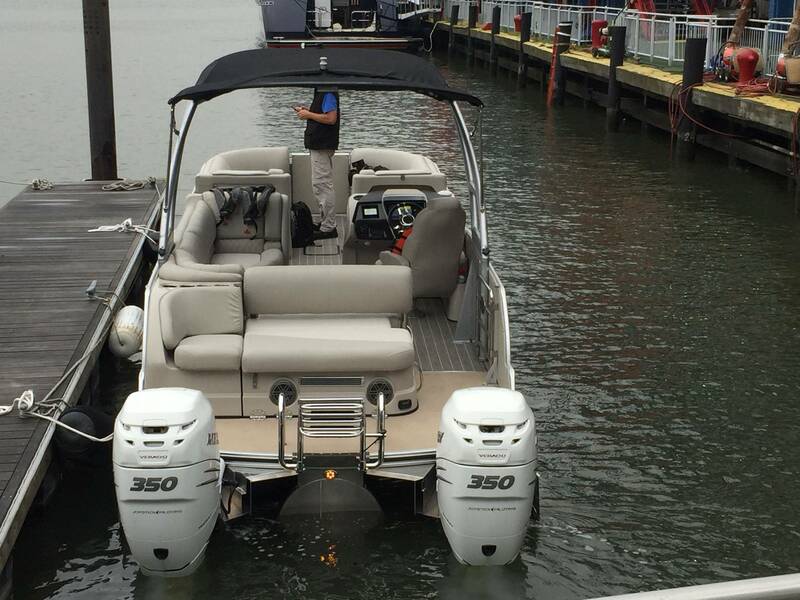 Mercury Marine was in New York City earlier this year offering test drives for select engines and control systems. While in town, John C. Pfeifer, President - Mercury Marine, sat down with Maritime Reporter & Engineering News to discuss marine technology development that is driving his company further, faster into emerging commercial growth opportunities globally. Barreling down the Hudson River at nearly 80 mph in a 39-ft. Cigarette boat powered by four 350-hp Mercury Marine Verado outboard engines tends to leave an impression. More impressive? Operating that same boat in tight quarters – amidst the waves and chop from a endless array of river traffic, being pulled one way by the current and pushed another by 20+ mph winds – with ease and certainty courtesy of Mercury’s intuitive joystick piloting system, which with the push of one button activating its Skyhook virtual anchor you are anchored in place despite the swirl of forces around the boat. “Our intent is that you don’t have to use an owner’s manual to use our product” said Pfeifer, noting that in his nearly 12 years at Mercury Marine the one of the biggest differences between the company he joined in 2006 and the company he has led since 2014 is the refinement of the entire product line, including the intuitive nature of the integrated control systems and the lack of noise coming from the engines. 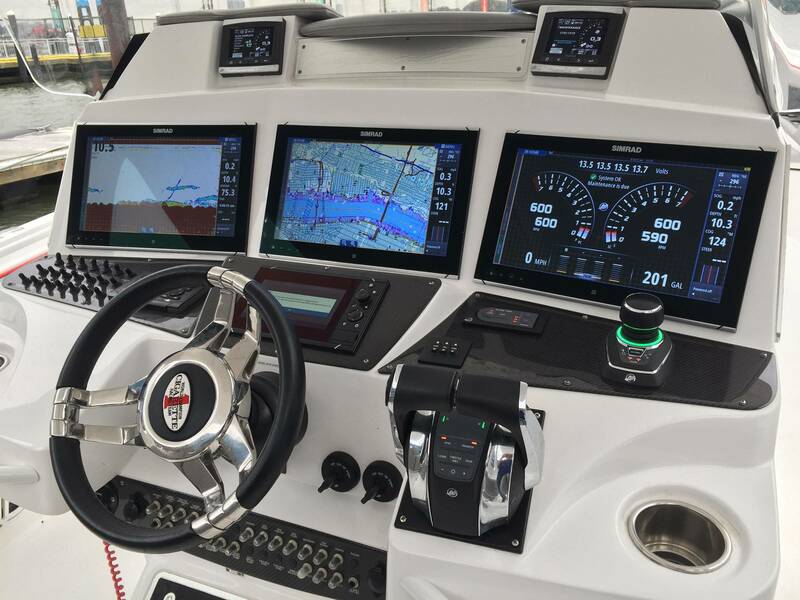 From its global headquarters in Fond du Lac, Wisconsin, Mercury Marine is a pure maritime power and supply play, a company that is embarked on a steady growth clip of about 6% each year, a company that sees its products and systems increasingly integrated into commercial maritime applications. 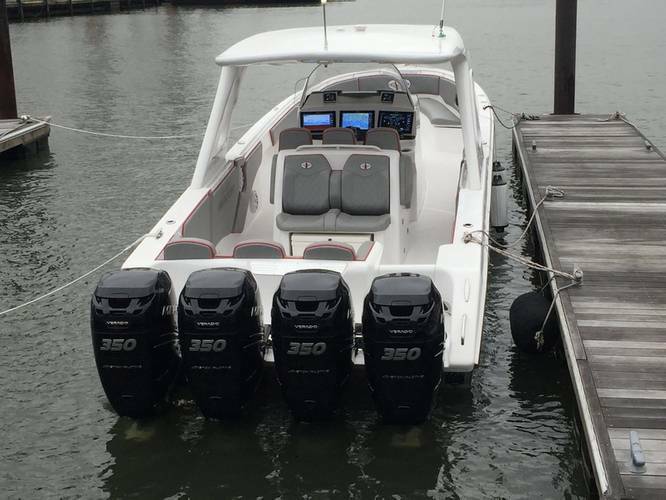 The outboard segment is particularly interesting in both consumer and commercial markets, as a dramatic increase in horsepower per unit is driving new applications for outboard engines, effectively taking share from traditional stern drive applications. 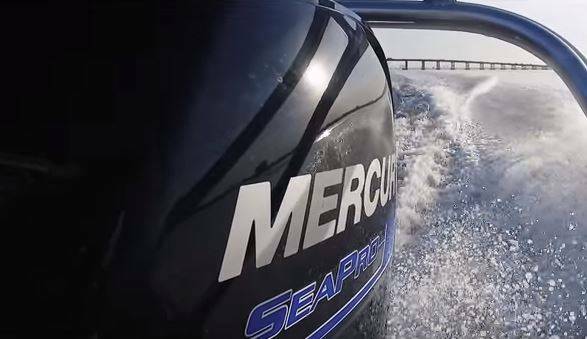 Mercury developed the SeaPro outboard engine series, in a range from 40 to 150 hp, engineered to be ultra-tough to meet commercial performance and reliability demands. The SeaPro series is calibrated differently, and comes equipped with unique components, for example more durable brackets, to better handle more rigorous commercial applications. 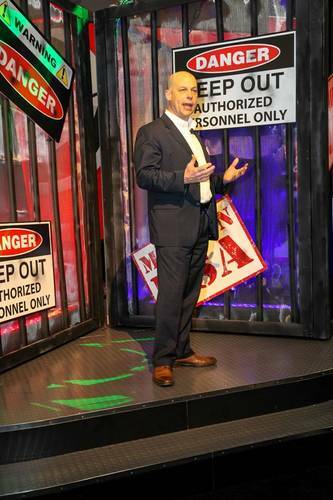 “Our diesel product goes into ferry and water taxi applications (for example, where the boats are operating) 12 to16 hours per day, back and forth, where fuel economy is paramount,” said Pfeifer.